It’s truly amazing how many people still use “legacy” corded headphones when the bluetooth variety has gotten so good. 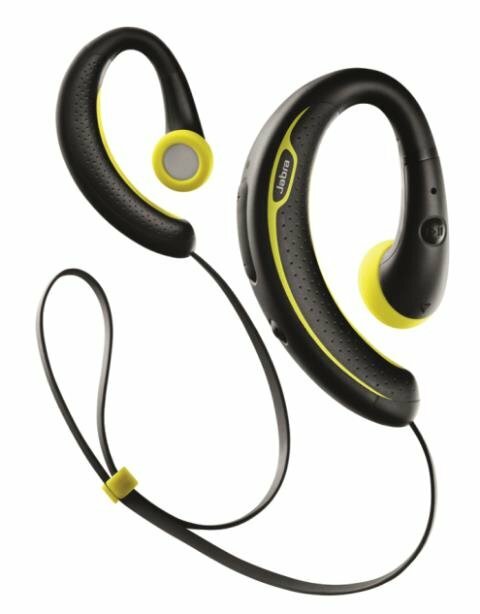 Case in point is the new Jabra Sport Wireless+ headset. I was immediately familiar with this headset as it is the new version of the Jabra Sport Wireless headphones which I have used for at least 1,000 hours. The old unit the "Sport Wireless" served me well, my two issues were limited battery life and the sensitivity of the bluetooth receiver – occasionally the sound would cease to stream if a large object came between the headset and the phone. So far in my testing I have been happy to find the music quality has improved, the battery life is better, there are seven eargels to ensure the fit is perfect for just about any ear and there is now a free 3-month Subscription to popular fitness app Endomondo Premium. Finally, the bluetooth receiver seems to be better as well. This headset is also very rugged, its design is stylish yet they are bright enough for others to know you are wearing them. This can be useful so as to let friends know you aren’t ignoring them – you just might not hear them. I don’t baby any of my headphones – they sit in a punch in my gym bag that goes everywhere with me – gets hit by heavy suitcases and thrown around a lot. If a headset can last in that bag for a year, it can take just about anything you can throw at it. While I haven’t been able to abuse this model, the prior one is so similar that I can confirm hey seem very rugged. A bonus this headset has is its FM radio which automatically seeks the next station for you. It’s just another nice feature to have. In my testing, FM radio reception was good. For many, an important feature will be phone quality and in my testing it was exceptional – my first call using this improved model resulted in the caller telling me how good I sound – with minimal prompting. In addition to all of the above there is now a clip which can be adjusted to remove excess slack from the wire behind your head. This can be quite useful for runners or people who are doing abs or some of the latest crazes like kettle ball training or even pole dancing and twerkouts. This unit competes nicely with the Plantronics BackBeat Go 2. For runners the advantage likely goes to Jabra because the design does not block the ear as much as the Plantronics model. Even this point has nuance to it as the more secure Plantronics fit within the ear results in better bass response but worse safety – you can’t hear the traffic around you as much. Moreover, the BackBeats produce a thud for every step you take which the Wireless+ does not. The sound quality of both units is similar and unlike the previous models of each headset, both now play very loudly. The Plantronics unit requires far more adjusting if you are very active because there is no loop like the Jabra unit to keep them firmly attached to your ears. Of course if you like to hear FM radio accessible on your headset then the choice is clear, if not, you can use this review to decide which model fits your active lifestyle better. From a pure technological standpoint the Plantronics unit is more advanced because it is lighter and smaller but this small size comes with some pros and cons. Your type of workout will best determine which headset is best for you – I am happy with both models and would recommend either.